First question: Should you go? Second question: How should you go? Info and links to answer both. The Debate: Should You Go? Antarctica is an inhospitable place. There are no — nor have there ever been — permanent human inhabitants of the continent. Frequent storms on land and sea and the coldest temperatures, driest air, and strongest winds on the planet are a constant threat, even to those who know what they’re doing. There’s no governing body in Antarctica, no one with unilateral authority to control where people go, what they do,…or to ensure their safety. In November of 2007, the tourist vessel M/S Explorer struck an unidentified object. Its doubly reinforced steel hull was punctured, and 20 hours later the ship was completely submerged. Fortunately, all 154 passengers and crew were rescued by nearby vessels. Is this the place for sightseers and amateur adventurers? Would you be better off sticking to Google Street View? 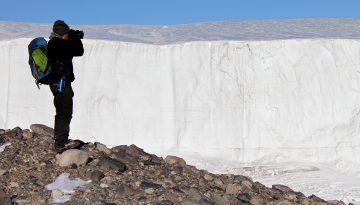 Most of Antarctica is still pristine, untouched by human activity. Paradoxically, this makes the ecosystem more vulnerable to disruption. 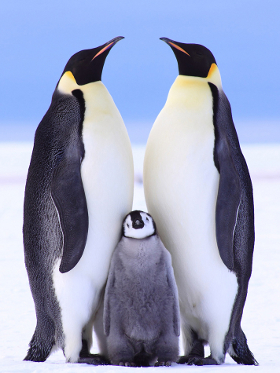 According to the International Association of Antarctic Tour Operators (IAATO), 12,000 tourists made the journey to the 7th continent in ’00-’01. During the last summer season (’09-’10), that number had tripled. 3x the tourists means 3x the waste, pollution, and potential for disaster. Though inhospitable to human life, Antarctica is home to hundreds of plant and animal species, many of which are found nowhere else. Are we crossing a line by claiming the continent as our own? Somewhere in Patagonia, though, where the gap between the luxury dream world of tourism and the real world of harsh, windswept land grew wider and wider the further south I traveled, I decided that living the dream wasn’t all it was cracked up to be. I started to see all of these parallels — the dream world of the Internet, the dream world of ego, the dream world of advertising. Better, I thought, to live a life, to engage the real world — to work in rich soil and warmth, to embrace places on their own terms rather than leveraging all my work and charm and access to technology to go somewhere that, by its nature, is totally inhospitable to human life. So I went north instead and my travel writing career has never really been the same again. 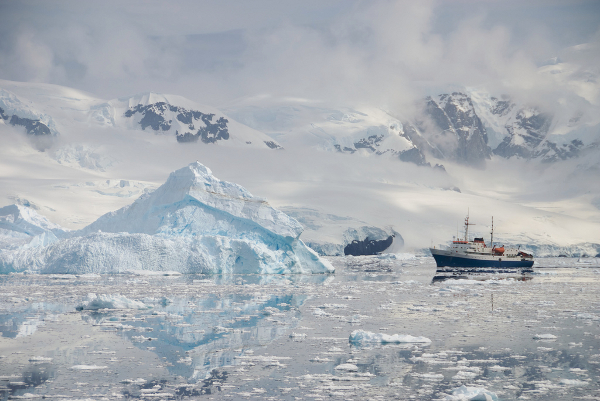 Ships bring the majority of recreational visitors to Antarctica. Many are giant cruise liners that float the Southern Ocean and give their 1,000+ passengers views of stormy seas, barren islands, and — with luck — a penguin colony or two. No landings are made. It’s the smaller vessels (between a dozen and 500 passengers) that typically offer land- and sea-based activities. 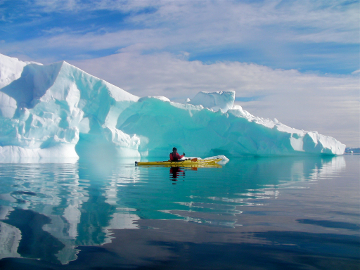 Most common are three-hour shore trips to the Antarctic Peninsula and surrounding islands, made by Zodiac. Ships that carry fewer than 100 paying passengers are preferable. This is because of IAATO guidelines that limit landings to 100 people at any given site at any given time. Additionally, smaller ships can get closer to shore and access more terrain, though they also make for a bumpier ride. And whichever type of vessel you choose, expect to pay for it. Bargain berths start at around US$4,000 and quickly head north from there. Finding a cruise: Make sure your company is a member of IAATO. This is the minimum you can do to protect yourself and the environment. Oceanwide Expeditions, Journeys International, Adventure Life, Responsible Travel, and Quark Expeditions all advertise “environmentally responsible,” limited-passenger voyages, between 10 and 20 days in duration and starting around at US$5,000/person, with hiking, climbing, kayaking, and diving add-ons available. Budget tip: Hang out in Ushuaia, Argentina (port of departure for most ships), during the Southern Hemisphere summer. Companies often offer last-minute discounts — sometime as much as half off — to fill any unsold berths. Look for adverts in hostels, or contact companies directly. For more cool factor, and substantially more money, many companies run specialty expeditions. These often involve tracing the routes taken by original Antarctic explorers like Ernest Shackleton and Roald Amundsen. 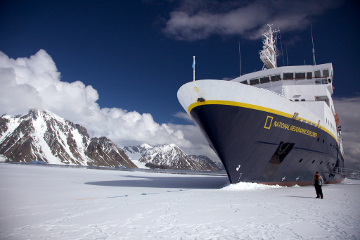 Examples of specialty tours include the Shackleton Odyssey offered by Global Adrenaline — with the option of recreating Shackleton’s mountain crossing on South Georgia Island — and an 18-day trek to the South Pole run by Extreme Adventures. A spot on the latter costs US$57,000. This may be the cheapest way to check out the ice. A firm called Antarctica Flights does flight-seeing tours from Australia along a stretch of Antarctic coastline. Each flight features talks from “scientists, glaciologists, explorers, adventurers, or mountaineers” to “enhance” the experience. Tickets start at AU$1,000. Read more in Antarctica Flights: Australian Sidetrip? If you’ve got your own boat, there’s nothing legally preventing you from sailing on down. I won’t pretend to be able to advise you on this. And, though you’ve just missed it for this year, there’s the annual Ice Marathon. Runners are flown from Punta Arenas, Chile, to interior Antarctica. If 26.2 miles at 80 degrees south isn’t intense enough, there’s also a 100k. Registration costs €9,900.